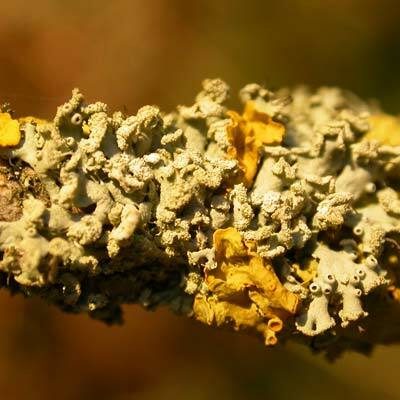 This small, grey, foliose lichen will be among the first species the beginner will find on nutrient-rich twigs and branches. The loosely attached plants often grow abundantly in scattered patches. 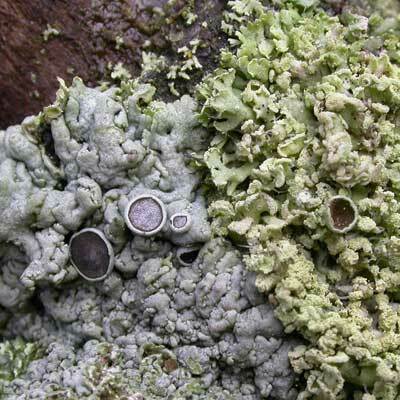 The slightly raised, white-dotted lobes terminate in open clusters of soralia (coarse granular powder that is a mixture of fungal hyphae and algae). White, whiskery cilia grow along the margins. The lobe ends are never swollen or hood-shaped. Fruiting discs are uncommon. Lobes with ends covered in a low mound of white, granular soredia (never inflated or hood-shaped). Simms, M. J., (2016). 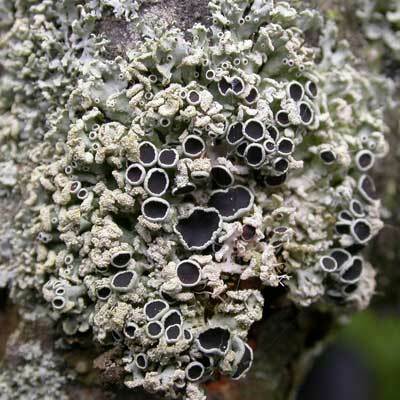 Physcia tenella (Scop.) 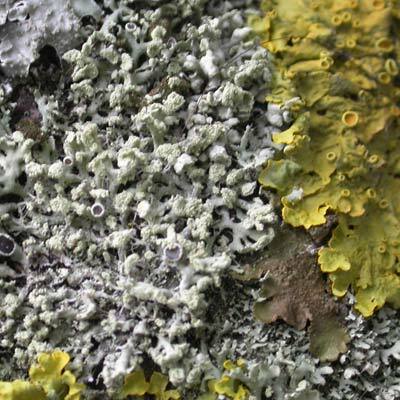 DC. . [In] LichenIreland.